For many of our readers, it will come as no surprise to hear that microsatellites are a rapidly-growing segment of the commercial space market. After all, we’ve covered the rise of small satellites in previous articles (and have a vested interest in several savvy satellite startups). Today’s tiny satellites are increasingly capable and affordable—and over the past three years, hundreds of microsatellites have been deployed in low-Earth orbit. However, one reality continues to limit the growth of commercial microsatellite constellations: The current launch industry has developed to cater to a much larger class of satellite. In order to deploy their technologies in orbit, microsatellite companies have historically needed to book passage as a “secondary payload” on larger rocket launches. This “piggybacking” approach—while cost-effective—is also highly inconvenient to the microsatellite operator, as launch delays and predetermined trajectories impede the company’s ability to execute on their business objectives. Entrepreneurial space companies have responded to the needs of would-be microsatellite operators by developing a new class of small launch vehicles. These diminutive rockets, a fraction of the size of modern orbital launch vehicles, will ultimately provide dedicated nano- and micro-satellite launch services to a variety of commercial customers. Private companies like Vector Space Systems and Rocket Lab are pioneering solutions that will offer clients increased flexibility and a greater level of control over their space-bound assets. Small rockets represent big opportunities—and big changes—for commercial space startups. For companies planning to deploy microsatellites, the emergence of dedicated launch services will have two key benefits over currently available “piggyback” options. Small rockets will provide more desirable satellite placement, as well as facilitate an accelerated launch schedule. When launching as a secondary payload, the first issue that microsatellite operators face is an inability to dictate the vehicle’s final destination. When small satellites “hitch a ride” to orbit with a much larger—much more expensive—payload, the small satellites are delivered wherever the primary payload needs to go. In some cases, these primary payloads are massive communications satellites headed to orbit above the Earth’s equator—and equatorial orbits are not always ideal for smallsat operations. An alternative way to reach orbit in recent years is to bundle cubesats aboard cargo resupply missions to the International Space Station. Once delivered to the station, crew members can use NanoRacks’ onboard CubeSat Deployer to launch cubesats directly from the ISS. This option has proven appealing to commercial partners, as over 60% of microsatellites deployed in the past three years have ended up in ISS orbit—even though this location may not be the first choice of the satellite operators. For while satellites are able to adjust their positioning once in orbit, the process of maneuvering into distant positions is a time- and power-consuming endeavor that can shorten the operating life of a technology with an already-limited shelf life. Therefore, a specialized launch provider that delivers microsatellites to their ideal location and orbit will increase the overall operating efficiency of the satellites themselves. The other major upside to dedicated nano- and microsatellite launch will be the marked increase in launch frequency. When flying as a secondary payload, microsatellites are subject to the delays that so frequently beset large-scale launches of high-value cargo. If an issue with the primary payload is identified, the launch will be pushed back—regardless of whether the secondary payload is ready to fly. For the microsatellite operators who are eager to deploy their technology, these frequent delays can be extremely frustrating—they represent time and business lost, and hinder a company’s ability to deliver on its promises. The new small rockets currently in testing will allow microsatellites to launch with unprecedented frequency, thereby enabling satellite companies to fully execute on their business plans. Vector Space Systems and Rocket Lab will compete for marketshare within the smallsat launch landscape. There are currently no fewer than six ventures vying to establish themselves as leaders within the niche smallsat launch market segment. Two companies in particular—Rocket Lab and Vector Space Systems—have emerged as market-leading competitors. Since its founding in 2006, Rocket Lab—a U.S.-based company with facilities in New Zealand—has worked to develop a proprietary launch vehicle for small satellites. The resulting Electronrocket system measures a mere 17 meters high, and is designed to deliver 150 kilograms of payload to low-Earth orbit. Rocket Lab announced today that test launches of their Electron rocket would begin on Wednesday, May 24th (local time; weather permitting). The company is undoubtedly eager to get test flights underway, as they have secured a 12-flight satellite launch contract with Spire—a San Francisco-based operator of Earth-observing cubesats—once the Electron is tested and ready to fly. Rocket Lab will need to complete three successful test flights before the Electron system can be declared fully operational. 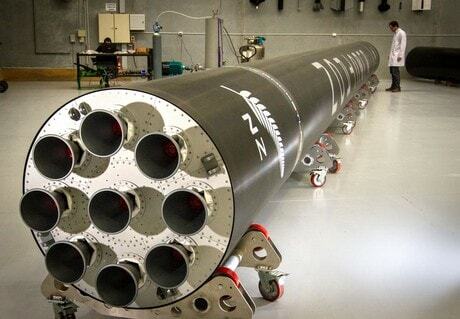 Rocket Lab hopes to eventually ramp up to a launch cadence of one Electron flight per week. The company has taken a unique approach to payload integration that will help ensure timely, standardized flights with minimal chance of schedule delays. The fairing of the Electron rocket—that’s the “nose” of the rocket, or the very top—is replaceable, and functions like a small cargo hold. By packaging customer payloads into standardized fairings, and then storing the queue of ready-to-fly fairings at their launch facility, Rocket Lab is confident they can maintain a reliable and frequent flight schedule. Another nano- and microsatellite launch provider is Space Angels-funded Vector Space Systems. Vector is developing their own set of micro-launch vehicles: the Vector-R (Rapide) and Vector-H (Heavy). While the ultra-small Vector-R is currently the smallest commercial rocket in development, the Vector-H will be slightly larger; similar in height and payload capacity to the Electron rocket system. Vector is also anticipating a high-frequency launch schedule and streamlined integration for its customers. The company plans to launch their Vector-R one hundred times each year, while the Vector-H will fly approximately once every two weeks. 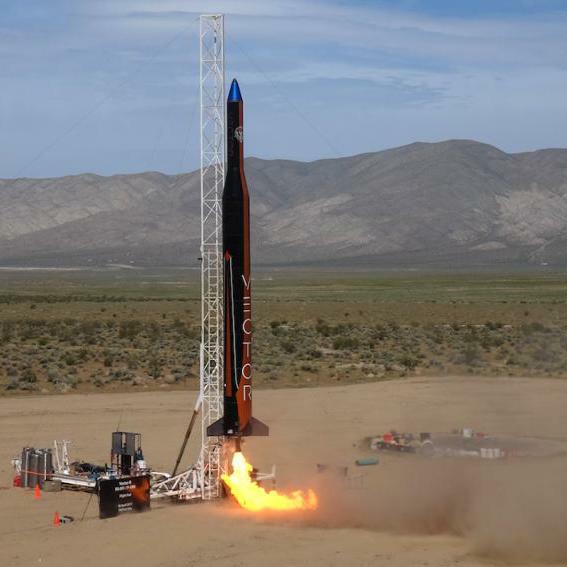 On May 3rd of this year, Vector announced a successful test flight of their Vector-R prototype rocket. In a press release, the company points out that they are taking an “incremental development” approach to testing their rocket technology—gradually increasing the power of the engines, as well as the target altitude. As Vector continues to ramp up their test flights, the company hopes to be able to begin offering their services during the second quarter of 2018. Location, location, location: Latitude has a major impact on orbital launch logistics. While Vector, Rocket Lab, and other companies are developing similar technologies, the ventures’ long-term ability to compete in the marketplace will hinge on reliability, launch availability, and a few key differentiators. One of the big differences between Vector and Rocket Lab is the location of their launchpads. Rocket Lab will be launching from their private complex in New Zealand, whereas Vector will launch from multiple facilities, including Cape Canaveral and Kodiak Island in Alaska. The relative positions of these launch sites may impact the long-term success of each venture’s mission: to provide low-cost, high-frequency microsatellite launch services for their customers. Launching from latitudes close to the equator enables an orbital rocket to take advantage of the natural speed boost that comes from Earth’s rotation. It’s part of the reason why NASA chose Florida’s Cape Canaveral as a primary launch facility. As the Earth spins on its axis in orbit, locations on the Earth’s equator are moving through space at speeds of over 1000 miles an hour—that’s ten times faster than locations in Arctic regions. For heavy launch missions, or for payloads headed towards a moving target (like the ISS), this extra power is crucial—it allows vehicles to more efficiently match the cruising speed and altitude of their final destination (for more on this topic, check out this explanatory video from Youtube user SciShow Space). Here’s the rub: Nano- and microsatellites don’t necessarily need to take advantage of this natural power-up—especially if they’re not trying to intercept an orbiting space station. And while equatorial launch sites are especially efficient for vehicles headed to low-inclination orbits, that’s not the ideal destination for the majority of microsatellites. In fact, remote sensing satellites—which account for much of the increased market demand—are best-suited to highly-inclined polar or sun-synchronous orbits. Satellites in polar orbits are able to image the Earth as it rotates below, functioning a little like a line scanner and gathering crucial data for a range of commercial applications. However, as discussed earlier, re-positioning microsatellites to polar orbits from an equatorial launch site is not a cost-effective approach for most commercial launch providers. This is where the flexibility offered by Vector’s launch arrangements comes into play. 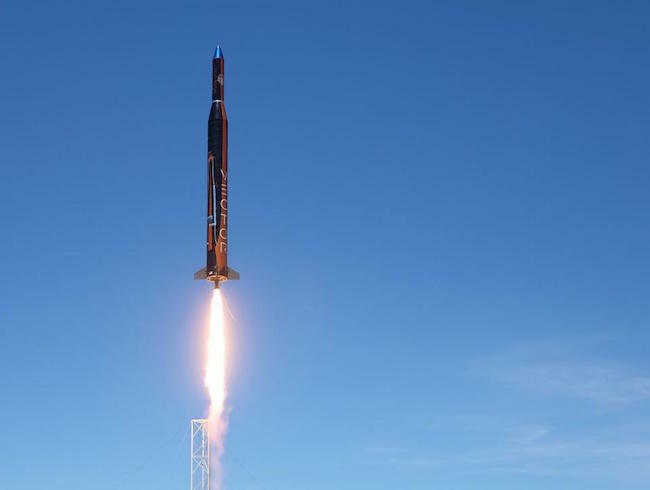 By launching their rockets from facilities in both Florida and Alaska, the company is better able to provide their customers efficient and affordable access to a range of desirable orbits. What’s more, this launch site flexibility may enable Vector to reduce their terrestrial transportation logistics expenses—since customer payloads can be delivered to launch sites in either Florida or Alaska, Vector will be able to limit some of the the cost and liability associated with long-haul freight services. This makes Vector an appealing micro-launch partner for a broader range of U.S.-based companies. While dedicated microsatellite launches may not immediately offer significant cost savings over secondary payload flight arrangements (on a cost-per-kilogram basis), market interest suggests that customers may be willing to pay a premium for such targeted payload delivery. Small rockets are creating new ways for microsatellite companies to access commercial space. As the number of nano- and micro-satellites in orbit continues to grow, the need for reliable and affordable small launch vehicles only becomes more apparent. 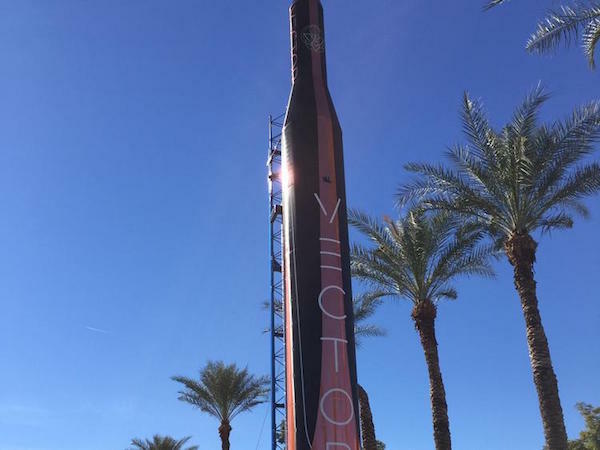 A number of dedicated “micro-launch” providers have emerged in the past few years, and market forerunners Vector Space Systems and Rocket Lab have each begun test flights of their respective small rocket systems. In order to create long-term sustainability in a competitive market, small launch providers like Vector and Rocket Lab will need to maintain a steady flow of microsatellite launches for an ever-widening client base. Frequent and reliable micro-vehicle launches will bring a new nimbleness to long-established satellite launch procedures. Rather than planning bulk deployments twelve months in advance, microsatellite companies will soon be able to launch satellites as they’re needed, on much shorter notice, and on their own terms. The introduction of small launch systems is another barrier to entry removed for new space startups.There’s never been a better time to get involved in commercial space. If you’re ready to start investing in private space companies, we invite you to apply for membership to Space Angels. Doncaster, Bill, Caleb Williams, and Jordan Schulman. 2017 Nano/Microsatellite Market Forecast. Rep. Atlanta GA: SpaceWorks Enterprises, 2017. PDF.